Super Eagles chances of making it out of Group D was given a big hope after Croatia dismantled Argentina 3-0 in Thursday’s second round match at the FIFA World Cup. Nigeria lost 2-0 to Croatia in their opening fixture and would need to beat Iceland in a bid to stand a chance of topping Argentina. Argentina goalkeeper Wilfredo Caballero miss-kicked a clearance and Croatia defender Ante Rebic recovered the ball before sending it into the net in the 53rd minute. 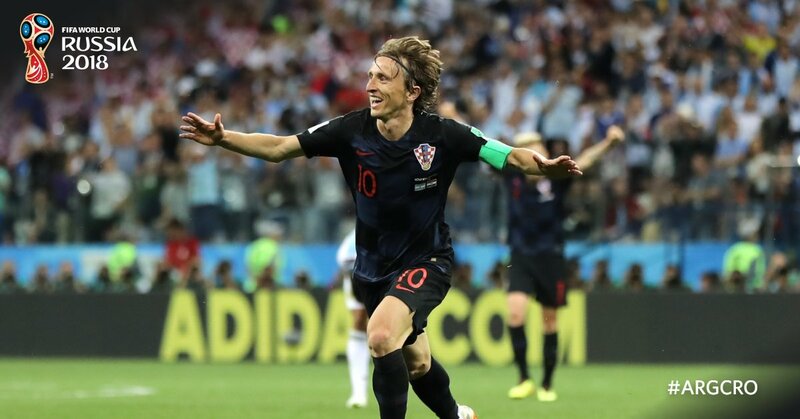 Luka Modric scored another with a hooking shot in the 80th and Ivan Rakitic added the third in stoppage time. Croatia advanced to the round of 16 with six points from two games in Group D. Argentina has only one point and will next face Nigeria on Wednesday.